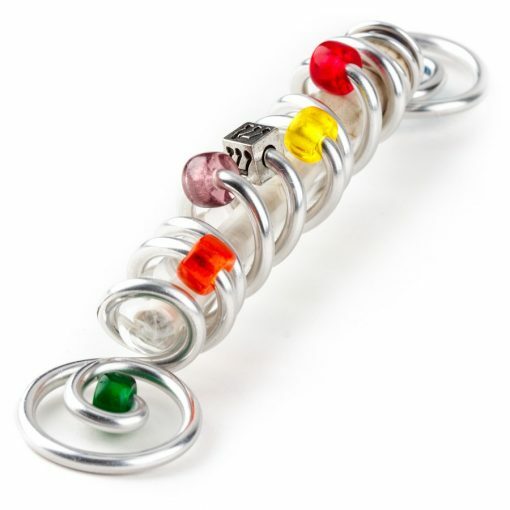 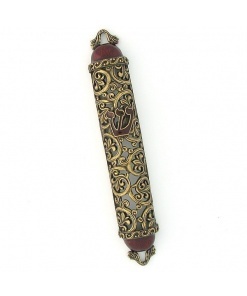 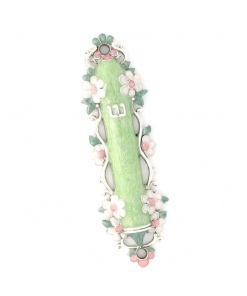 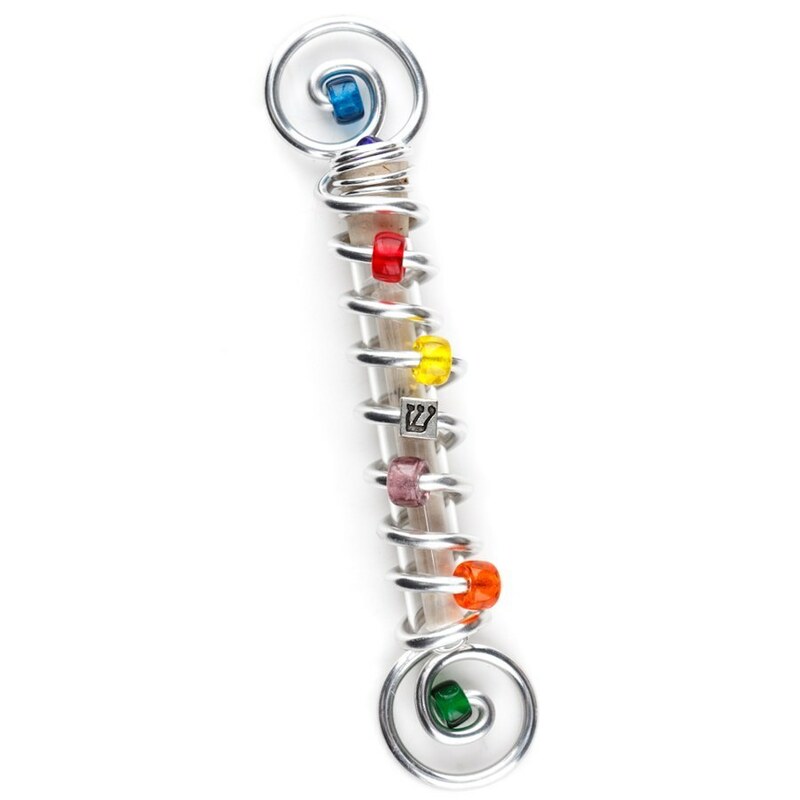 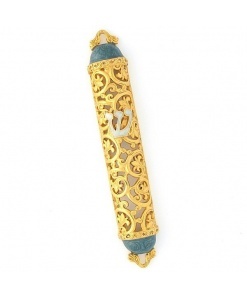 This Spiral Mezuzah in Brites, sophisticated, yet whimsical, is designed by combining metals and colors. 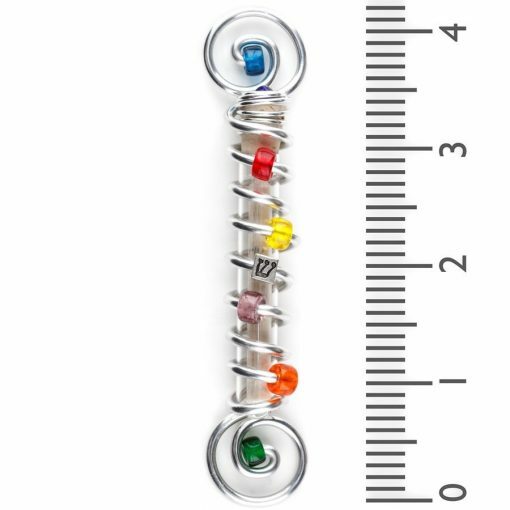 The aluminum thread is used throughout every piece and embellished with beads. 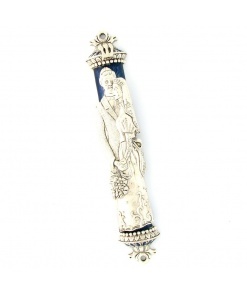 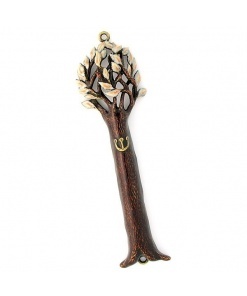 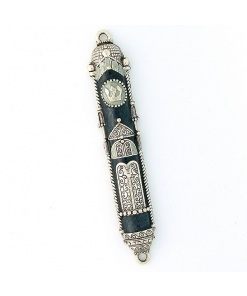 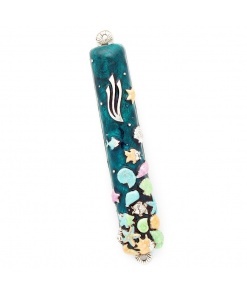 What keeps this mezuzah unique is the artists’ unwavering commitment to a “hands-on quality approach to all of her designs and products. Each piece is hand-made by skilled artisans in a Greenwich Village studio.